And then along comes Uncle Sajid Javid, fresh off the boat from Rochdale. If there’s one thing you can depend on, it’s one of my lot to stab one of my lot in the back. He looks like all of our uncles: smiley, jolly, bald, maybe had one too many curries. The only difference is, this one has the soul of Enoch Powell. It’s the delusion that children of immigrant parents often have. Their ambition to succeed strips them of who they really are. By pandering to populism and hatred, what Javid fails to realise is that the people he’s appealing to with these actions are never going to vote for a Tory Party led by him. These are the type of people who, once they’ve used him for his power, will want to deport him, and there won’t be anyone left to support him, as he will have deported all his own people. When my parents first came to Britain in the 1960s they were desperate to be British. Sajid Javid according to the Twitterati is an Uncle Tom, a sell out, and the slur of all racial slurs: a right wing ‘coconut’. A coconut is a term used by brown people about other brown people if they are not seen to be helping the cause of brown people. It is a political term used about a dishonest, unethical, shameless servant of racists, the servant being from the same background as most of his victims. Famous coconuts include Oprah Winfrey and Kanye West. Oprah because a lot of black people feel that she made a lot of money listening to white women’s problems but didn’t do much to help the progress of black women, and Kanye West because he’s a Trump supporter who as we know doesn’t seem to warm to anyone a shade darker than himself. There is also evidence to suggest that Trump doesn’t warm to any kind of minority, from women to elephants. Kanye being a minority himself seems to have missed the point. Some people think the term ‘coconut’ is brazenly racist. It could be, depending on the way that it’s used. When I refer to Sajid Javid as a coconut, I am not referring to his skin colour; I am referring to his lack of loyalties and patriotism towards a group of people from the same background. It makes me extremely uncomfortable that Javid is quick to point out at every opportunity that he is brown, Muslim, working class, son of a Rochdale bus driver, and the son of immigrants from Pakistan. It may all be true, but before that he’s a Tory – a type of personality – and on the Dulux Colour Chart the Tories only have one shade. It’s a prehistoric tone called self-serving. What Shamima Begum did was stupid, dangerous, disloyal, un-Islamic and depraved. She should be heard, tried, punished, and maybe she should have her British passport revoked, but Sajid Javid should not be the type of person to do it. This is a job for the Rees-Moggs and the Johnsons. Uncle Sajid is the Home Secretary, so unfortunately it is actually his job to do it, but he shouldn’t have done it as a fellow Muslim and brown person. He should have some unconscious loyalty towards Begum. This is the work of a person from exactly the same background trying desperately to prove just how British he really is. 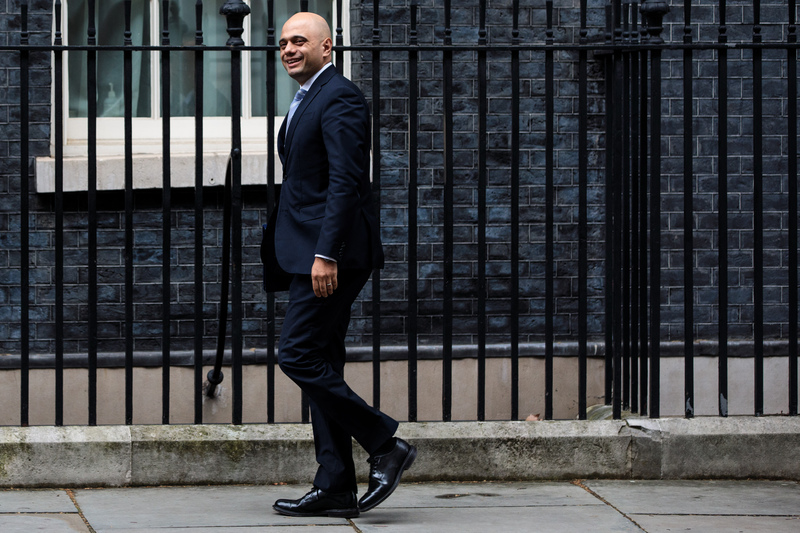 Sajid Javid’s situation is about the human condition. It’s about pain and suffering. People from a poor background start life on the back foot. They have nothing. No one comes from that kind of background and achieves this kind of status without sacrifice, excruciating hard work, rejection, pain, misery and annihilating fatigue. And because these people have had to suffer and struggle, they believe that everyone else should suffer that misery too. Why should anyone get an easier ride than them? They constantly trot out the instruction, ‘Pull yourself up by the bootstraps! If I can do it so can you.’ This is an orthodox myth to keep the working class down and allow the rich to keep profiting from them. It’s a way of justifying to yourself the forgetting of people behind you, and not bothering to help them. Not everyone was born with boots, and if you keep cutting off their shoestrings, things can become difficult. No one has to do anything for anyone. Nobody owes anybody anything. No one has a duty to help anyone, but I do think we have a responsibility to help those that were once in our insufferable situation. Margaret ‘I am the daughter of greengrocer’ Thatcher, Alan ‘You don’t know what poor is’ Sugar and Sajid ‘I am the son of a bus driver’ Javid are the bootstraps brigade. I have the Asian work ethic. I work all the time; even when I’m sleeping I’m thinking of comedy. I cannot understand people who do not reply to emails at the weekend. What? You’d rather do the gardening than leave a mark in this world? I don’t understand you. It’s not a disease, it’s a way of life. I got it from my immigrant parents who came here with nothing, and from my impoverished upbringing. I am brown, Muslim, working class, from Birmingham, the daughter of immigrants from Pakistan, brought up in a patriarchal culture and a patriarchal family. When I was growing up I had no role models, no one who looked like me on TV and no one to help or understand me in any way. My dad always used to shout, ‘Hurry up, get downstairs, Trevor is on the TV’, because Trevor McDonald was the closest thing to an Asian woman at the time. I constantly get deluged with emails from young girls asking for advice on getting into comedy, or music, or anything different from baking a cake and marrying a prince. I could ignore them but then my struggle would have been pointless and insignificant, a bit like if Nelson Mandela had come off Robben Island then just set up a chicken shop. In the 2016 EU Referendum, one of the main rationales for people voting out was that they wanted tighter controls on immigration. Ending free movement of EU nationals was a key point of difference between May’s Brexit plans and the Norway-style deal advocated by some in the Cabinet. Everyone will be required to obtain permission if they want to come to the UK to work or study. The government’s white paper on immigration promises a single, skills-based immigration system post-Brexit, with transitional measures for skilled workers but a proposed £30,000 salary threshold thereafter, but income and ability are not always equivalent. Oscar Wilde died poor, and apparently 50 Cent is down to his last 50 cents, although the abilities of Oscar Wilde and 50 Cent cannot be compared. The distance between them is as wide as Kim Kardashian’s bottom. The white paper is a way of segregating ourselves from the world and creating a Brexit apartheid, which is not what makes Britain Britain. It’s not inclusive; it’s a hostile message. 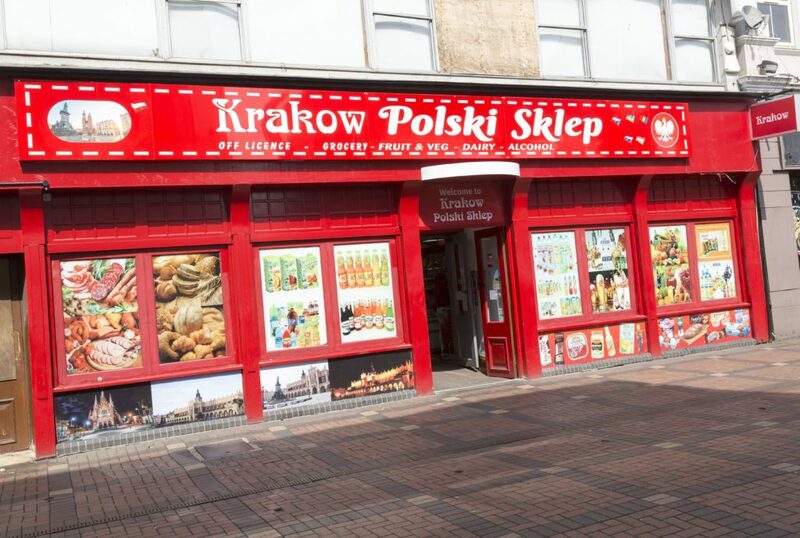 We may as well get the Polish to build a wall between us and the rest of Europe and make them pay for it. A few weeks ago I was doing a show in Twickenham where I was trying out some new material. I said I could understand why people killed themselves in hotel rooms because no matter how great the hotel is there comes a point when you stare into the wardrobe and your whole life stares back at you and you feel like, ‘Is this it? Is this all I’ve achieved? 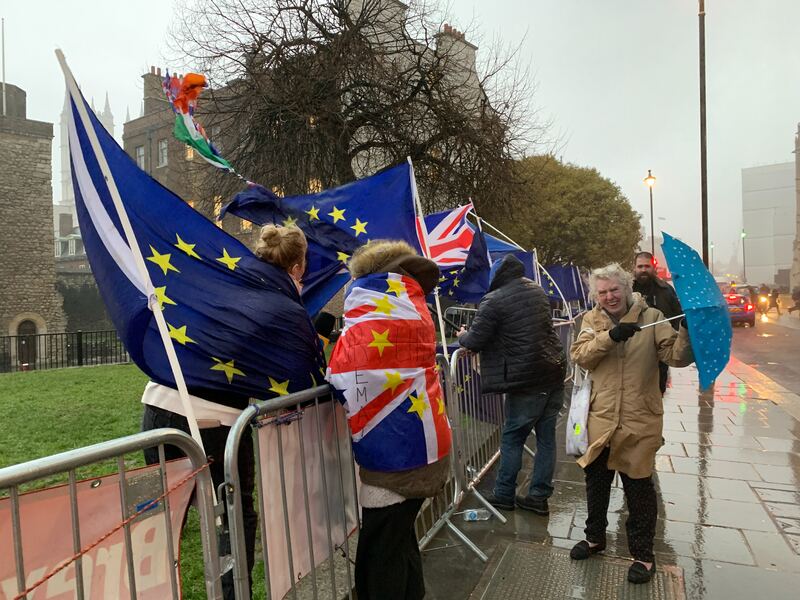 Two pairs of jeans and a shirt from Zara?’ A woman in the front row turned to her friend and said, ‘That’s how I feel about Brexit.’ I asked her what she meant. She said she was from Slovakia and was going back because Brexit had made her feel unwelcome and lonely. The white paper, our government, the racism disguised as patriotism, the bloody-minded ruthless ambition of power-crazed, entitled, privileged, white boys are all to blame for this woman wanting ‘to go back to where she came from’. The benefits that immigration brings to a society, in terms of economic and cultural contribution, are often a function of the aspiration to earn, starting from a very low income. Immigrants who come to this country with nothing and make something of their lives are the best example of the benefits of immigration. These people are almost the majority of immigrants that came over to Britain in the 1960s and 70s. And all those people who got confused and voted out thinking that when they woke up in the morning all the brown people would be gone? They’re going to have the shock of their life in six months time when we’re all still here, Nadia is all over the TV, there’s still a women in a hijab reading the news on Channel 4 and all my lot are still running every kebab shop, petrol station, doctor’s surgery and post office. These immigrants of the 70s era worked so hard there were phrases named after them: ‘The Asian shopkeeper’, ‘The Asian doctor’, ‘Omar Shariff’. They became a subject and identity all of their own. A firm stamp on British society. What a calamity then, when once again my lot pull up the drawbridge. The result of this, for those of us whose parents hail from elsewhere, is that our right to be here seems to depend on anything from what we think, to weather and how we transgress. We must prove good character, not to get here but to stay here. I voted in, but my dad voted out. A lot of first-generation immigrants I know voted out. Full? What does that mean? 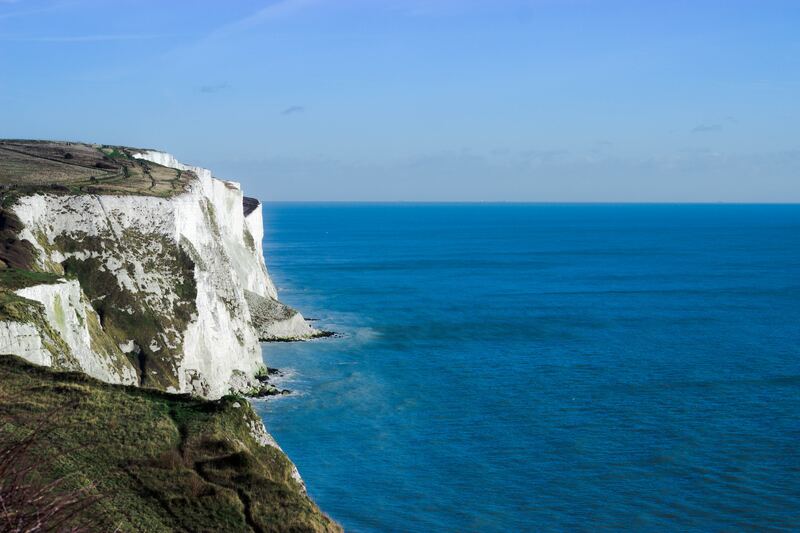 Are people teetering off the white cliffs of Dover, literally none of our green and pleasant land left to stand in? Are newborn babies being stacked in filing cabinets because there’s no space left? ‘We are full’ is a phrase from the UKIP dictionary that has been bandied about, believed and passed on when no one really knows if it’s real or true and neither does anyone seem to care for any real figures or statistics. Which immigrants are protesting? The first lot of immigrants. Why are these first-generation immigrants even worried? Surly they’re safe now. They’ve been here long enough, they’ve built their fortunes. Why do they feel threatened by a poor Romanian family wanting to come to Britain for a better life? The truth is: underlying the persistent hard work and innate determination of immigrants, there is an ineradicable fear of being disregarded, excluded and treated as second-class citizens. In requiring people based in the UK under freedom of movement to suddenly prove their status, the scheme risks mirroring the Windrush scandal. This could happen again through a lack of awareness, Home Office blunders and technicalities such as people having spent time out of the UK. No consideration is being given to the danger of repeating these stupid mistakes again. This isn’t something that started with Brexit; it started a long time ago when the underdog had to find a way of surviving, always watching its back in case something comes along to eat it. The 70s immigrant is the frog and the EU immigrant the hedgehog. Immigrants to a country often have certain characteristics that help them to survive. The human instinct to survive is our most powerful drive. When faced with poverty, starvation or death most people want to live. Pulling up the ladder behind them is a way of living. A lot of people in Birmingham that I know who voted leave belong to the thriving Asian business community that has long been a part of the city. Warehouses, factories, and curry houses. A lot of the business owners know each other, and they are all influenced by the business decisions the others make. Oli Khan, the secretary general of the Bangladesh Caterers association, said that the leave campaign told them that they would ensure that they were able to get more chefs from South Asia by relaxing immigration rules – and he believed them. He then urged his 150,000 members and 12,000 restaurants to vote leave. At the time, they were worried about an average of four restaurants closing a week due to rising rents and business rates. Priti Patel (another famous coconut) and Boris Johnson (would like to be a coconut) approached Oli Khan and asked him to collaborate and support the ‘Save Our Curry Houses’ campaign set up by Vote Leave. Now they are struggling to get chefs to Britain from South Asia as the rules state you have to pay a salary of £35,000 to offer a curry chef’s job to a South Asian, which smaller restaurants cannot afford. He now sees that all these promises were lies. He feels that many people in his community were used, and were taken as fools by the leave campaign who, once they got what they needed, deserted them. The fear that immigrants have of being treated as second-class citizens was realised once again. Not only are we voluntarily pulling the ladder up behind us, there are also others giving us a ladder and forcing us to use it to keep each other out. Politicians are snakelike and malignant. Not all of them, but a lot of them, and that’s what they’re meant to be. It wouldn’t suit Boris and Dave to be anything else. Throughout history, people in power have pitted groups of people against each other for personal and political gain, which is why the minority, the inferior, the persecuted, the indigent, and in this case the alien immigrant outsider need to agglutinate. We should have a second referendum. I am deluded enough to believe that maybe someone will tell us the truth and people can make a decision that they truly want based on that. We don’t have to do anything for anyone, but we do have a duty to campaign for other people’s rights. I know this is a contradiction, but both parts are true. If we leave the EU, the poor will be poorer and the poor that voted to leave will suffer the most. Anyone that has a different skin colour or accent, regardless of their ability, may not want to come to our country. All these groups of people will need a louder voice than theirs, speaking with the same voice, in order to be understood. I was once deserted on an island with ten people I didn’t know for a TV show. We had no clothes apart from the clothes we were wearing, no shoes, no mobile phone, no pen, no paper, no toothbrush and no mayonnaise. I learned many things, but the main thing I learned was this: you can survive by yourself for a long time, but in the end you will always need other people. Thank God my lot have Rageh Omaar, Mo Farah, Sadiq Khan and Trevor McDonald to depend on. If we leave it to the others this country will be run by coconuts who will try and deport me. Unless, of course, chief coconut deports himself first. 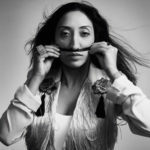 Shazia Mirza is an award winning British stand up comedian and writer who has performed all over the world. Her sell out tours include; Norway, Sweden, Denmark, France, Germany, Switzerland, India, Pakistan, Singapore, Indonesia, Hong Kong, Cambodia and Kosovo. Shazia’s TV work includes ‘Celebrity Island with Bear Grylls’, ‘Loose Women’ and ‘Top Gear’; her radio appearances include ‘The Graham Norton Show’, ‘Woman’s Hour’' and ‘A Good Read’. Listed by The Observer as one of the 50 funniest acts in British comedy, Shazia is also a winner of the prestigious PPA Awards as 'Columnist of the Year’ for her writing in The New Statesman. Other publications she writes for include The Guardian, The Financial Times, Chicago Tribune, and Loaded magazine. The Good Immigrant USA asks, 'What do we want America to be?' Here is one writer's answer. Comic songwriters can dazzle, shock, illuminate, and convey subversive ideas almost by stealth, argues Alexander Larman.